The anniversaries of disasters like Sandy Hook can be difficult. But there are ways to cope. Few events in modern history have left a haunting imprint on our country as the December 14, 2012, shooting at Sandy Hook Elementary School in Newtown, Connecticut. This year marks the fifth anniversary of the mass shooting that claimed the lives of twenty children between six and seven years old, as well as six adult staff members. In this post, Lidija Hurni, the Coordinator – Best Practices in Disaster Mental Health for MHA-NYC and the Disaster Distress Helpline, shares 7 tips about how to cope if you feel overcome with emotion by memories and triggers of this tragedy. 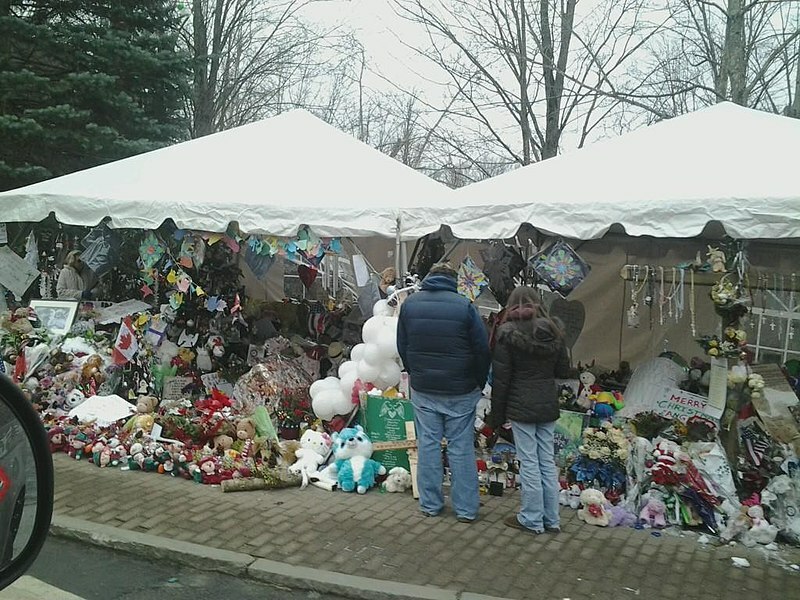 Whether you were impacted directly or indirectly by the Sandy Hook shooting, reminders of the event can stir up strong emotions that make coping challenging. Knowing this can go a long way in helping you deal with these emotions and can reassure you that you are not ‘crazy’ for experiencing feelings of distress (like sadness, anger, guilt) several years later. What helps you find comfort on any given day? Some people find that rituals such as singing, praying, meditation, walks on the beach, sharing a meal, or attending spiritual service can promote healing. Show kindness to yourself by turning to rituals that help calm you when you feel overwhelmed. Many people affected by mass violence have a need to talk about their losses or how their lives have changed. Find someone you trust and talk to them about how you are doing. And if you prefer to think and talk about the future rather than what’s happened in the past, then that’s what you should do. There is no need to talk about distressing events unless YOU want to. Just like adults, children and teens that have been directly exposed to violence or violent images will also have special needs during anniversaries and trigger events. Be attentive to what your kids are saying or if they are behaving differently. Allow them to express themselves, validate their feelings and let them know that you hear and support them. Helping others can promote healing by bringing comfort and affirming a sense of purpose. Volunteer at a commemorative event or donate money or your time in memory of someone you may have lost, or find a way to give back in a way that feels most genuine to your own experience. While the news helps us stay informed, consuming too much of it can increase stress. Images of past events related to Sandy Hook, or news of other mass shootings that have happened since, can trigger strong feelings of distress, setting you back in your recovery. Monitor how you feel while taking in the news from the internet, newspapers, magazines or television, and take breaks that will distract you if you begin to feel overwhelmed. Sometimes even after we have tried coping in these ways, we still struggle with performing regular tasks at school, work or home. Ask for help if you find yourself sleeping or eating too much or not enough, feeling isolated or losing interest in what you used to care about, feeling anxious most of the time, relying on excessive use of prescription medications, drugs or alcohol, or having thoughts of harming or killing yourself or others. The Disaster Distress Helpline is available 24/7 to anyone needing support during this difficult time. You are not alone. If you are feeling distress related to the Sandy Hook anniversary or any natural or human-caused disaster, call the Disaster Distress Helpline at 1-800-985-5990 to speak with a counselor. The Helpline is free, confidential, and available 24/7 across the United States and its territories.